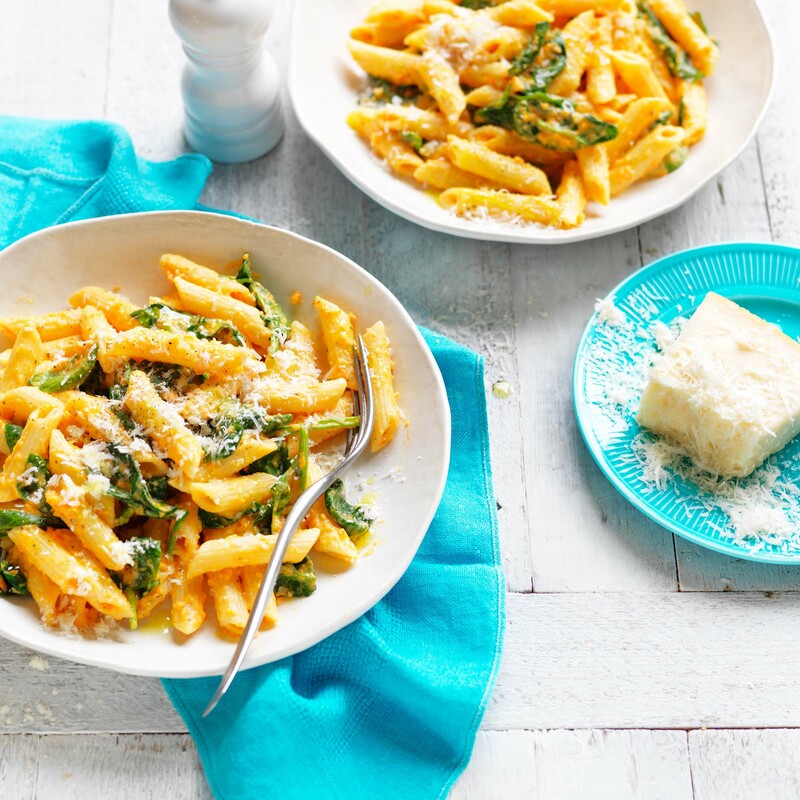 Tasty summer pasta with a twist. 1Preheat oven to 220C /200C. Place sweet potato on a baking paper lined oven tray. Drizzle with oil and bake for 15-20 minutes until tender. Puree with 1 cup milk until smooth. 2Meanwhile, cook pasta in a large saucepan until al dente. Drain well. 3Heat remaining oil in large pan and sauté garlic for 1 minute. Add puree and pasta to pan. Cook, stirring for 2 minutes until hot. Stir in remaining milk and spinach. Cook, stirring, until spinach has wilted. 4Remove from heat and stir in parmesan. Season to taste. Serve topped with extra parmesan. 5Tip: Stir cooked, shredded chicken, canned tuna or crispy salami through pasta if preferred.